There’s nothing quite like seeing a book with your name on it. The beautiful cover, the weight of it in your hands, the pages of your creativity bundled into a package for readers to enjoy. It sits o the shelf–maybe a physical one, perhaps a virtual one–but it is there, mingling with other books, rubbing spines with both fresh and established voices alike. And there it will sit, waiting to be noticed..among not hundreds, not thousands, but a virtual tsunami of books that grows larger each day. Sure, family and friends will buy your book, and perhaps some of your supporters and connections online, too. But unless you do something, it will eventually fade into obscurity, never having the chance to break out and be discovered by the exact people looking to read a book just like yours. The number one failing of authors (provided they have a well edited, quality book) is an inability to connect with their exact audience. Traditionally published or self-published, in this competitive market, authors must actively find readers or risk their book dying on the shelf. 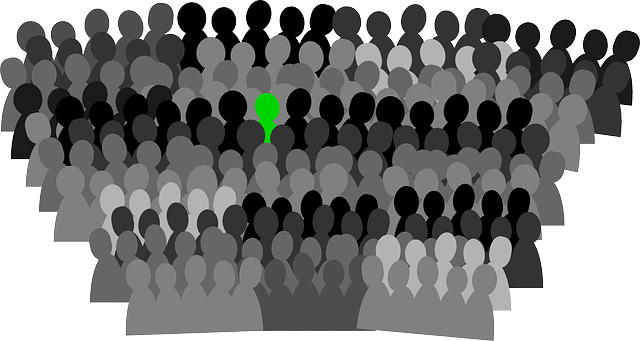 Many fiction authors try hard, but often miss the mark as far as targeting an audience (promoting too narrowly for example, say only to other writers). Some unfortunately go the spam route, misusing social media to shout constantly about their book, sales, 5 star reviews and even sending “check out my book + LINK” messages to followers. This type of promo becomes “White Noise,” which most ignore. In some cases, people become so annoyed, rather than this strategy pulling new readers in, it pushes them away. So How Does An Author Find Their Ideal Audience? While a book’s genre (and sub-genres) help to narrow reader interest, this is only the start of your journey to finding your ideal audience. A Fantasy enthusiast will not be interested in reading ALL types of Fantasy, right? So the first step is defining what about your book makes it stand out from all the other novels like yours. Move beyond just genre. What themes or elements are unique about your book? What are the strongest qualities about your hero or heroine that make them likeable? What concept makes your book pop? Is your fantasy about a race of nomadic humans who are really shape shifting dragons, but over the generations, have forgotten what they are? Or, does your book have a hero who must solve codes and cyphers to uncover an astrological prophesy? Maybe it involves unusual magical travel…wizards that have discovered they can bottle the scents associated with a location and when a subject inhales it, he travels to that place. Whatever it is, this “special element” is a big part of what makes your book unique, and what will draw readers to your type of story and characters. Figured out what makes your book stand out from all the others like it? Awesome. Now it’s time to find out what interests people who think X is compelling, because that’s what’s special about your book. Let’s take one of my examples. Say your book is the Dragon Fantasy concept above. A book featuring dragons may appeal to people who collect dragon figurines, read dragon-centric books, play dragon fantasy games, create dragon artwork, fashion dragon jewellery, blog about dragons, go to dragon-themed movies, visit forums that discuss dragon culture, etc. Google has 38 pages for “dragon lovers.” In less than a minute, I found a Dragon Museum, Dragon Decor Designs and a ton of forums, facebook groups, and the like. Using Twitter Search, I discovered there is a #Dragon hashtag that brings up people, products and discussions about dragons. All of these people have the potential to be your exact reading audience, especially those who wish dragons were real, but are hiding their true forms. Or Fantasy readers interested in shape shifters and nomadic cultures. Now within this glorious pool of Dragondom, there will be influencers: people who blog about all things dragons that really draw an audience, or active forums that discuss the latest dragon films and books. Perhaps gaming communities or even Facebook or Goodreads groups that draw a crowd. All of these help dragon enthusiasts discuss the thing they all love. Check some of these places out to see if they might be a home for you too. After all, if what makes your book special is the shape-shifting dragon element, I’m going to assume you have a strong interest in dragons, right? Surely you have some things to talk about, links to share, books to recommend, etc. We write what we love, and so we should love to talk about what we write. You want to find several groups or blogs that offer content to their readers that would also appeal to your readers. See who is discussing dragons on the web. Is there a Twitter Chat about dragons? Also look for people who create tangible goods for dragon lovers (artists, designers, etc.) These are people you want to try and connect with, because opportunities might exist down the road for some cross promotion. Don’t forget other authors with books like yours. Make friends, tweet links to their blog and book. They will notice and most reciprocate, meaning your book might get noticed by their audience. Hurray! We have found a slew of blogs, websites, forums and people who are into dragons! Time to join up, follow and send messages about our book, right? Sorry, that’s not how it works. Finding out who your audience might be is one thing, but actually (hopefully) turning them into your audience is another. To do that, you need to connect. Interact. Join conversations going on about dragons. Discuss your own collection, the books you read, the movies you watch. Talk to people, find out more about them. Talk about life. Ask questions. Be genuine. Add to the conversation, supply links to things you think others will find interesting about dragons. Build relationships. Yes, this takes time. It’s work, but if your heart is into it, it’s fun too. In time you will see that these relationships are worth far more than a handful of sales generated from spam promo. Why? Because when you need help, you can ask. Maybe you need reviewers, or have a book launch coming up and need people to spread the word. These individuals who you have invested your time in will often be the most enthusiastic about helping you gain visibility. They become not just supporters, but if we are lucky, fans. One of the best ways to gain visibility is to host a big book event online. Thinking very hard about who your exact audience is, and what they would find interesting or entertaining is the key to drawing the right crowd to your event. Online book events like a book launch are the one time when people expect us to shout about our new book from the rooftops. We can build buzz and flash our cover and blurbs, and draw interest. Events are excellent ways to get your book noticed by the right people! When you create your event, keep your theme or special element in mind. Build around it. Could you do a dragon treasure hunt across many different blogs using street team members? Perhaps add a shape shifting element where participants follow clues to figure out which street team member is human and which is a dragon, so they can find the hoard (giveaway prize) on someone’s blog? Something else? You decide! This entry was posted in Buying Books, Marketing, Promotion, Publishing and Self Publishing, Social Networking, The Business of Writing. Bookmark the permalink. There are so many questions I don’t even have enough knowledge to know to ask. Anyway, just saying thank you again. What do you do when what makes the book special isn’t so tangible? For instance, the theme that runs through all of my books is “second chances.” To me, that’s what makes my books special, approaching that theme from all sorts of different angles. Also, the concept of what we see of the world not being all there is — that there are supernatural layers the ordinary people characters don’t realize exist until something hits them in the face and forces them to see and deal with those layers. I don’t know how to find people who might like something like this. It’s not as simple as “dragons,” but the simple examples like dragons are the only ones I can find anywhere and I don’t know how to extrapolate them to get where I need to go. Help? Without knowing more specific information it is hard to advise (but I do remember you and your book from a FB conversation, Meg), but I would say that you need to define if there is a religious element to your theme or not–supernatural can be paranormal in nature, or more religious, so defining that would help. Then, look deeper at your theme of second chances. Second chances for what–redemption? Forgiveness? Overcoming a fear? Something else? Depending on your answer, it will lead you toward different groups of people who are dealing with this issue, or again, might lead you in a religious (spiritual growth) direction and readers who enjoy these “awakening to spirituality” stories, or those who read about personal growth because that is what they seek. If your book is more supernatural in nature, and deals with real elements of the supernatural, you would find a natural fit in the medium/empath/supernatural phenomena/etc. community. No, definitely not a religious theme. I play with time and ghosts, mostly. They really exist in my books, but the books are fiction, so not the “people who believe this stuff is real” community. I’d say if I had more romance in my books, they’d be paranormal romance. Or if my protagonists were supernatural themselves, they’d be urban fantasy (well except they’re not urban, either). But neither of those is accurate. One of my biggest influences is the late writer Barbara Michaels, if that’s any help. Her books were classified as gothic, but she had female protagonists. By and large, I don’t. The second chance thing is more people starting out the book at the end of their rope for one reason or another, being handed a second chance whether they want it or not, and learning how to make the most of it. And *how* do I find those groups you mention? All I know how to do is google them, and that’s not productive. Any other thoughts? Pretty please? Think like the people who would be interested in the topics I mention. If you were interested in, say, ghosts, you would google “real ghost stories” or “ghost experiences” etc. You might also search “ghost story forum” or “ghost blog” and the like. Search Twitter for the Hashtag #ghosts. Look up books that are close to your own and run searches (reviews, guest posts, etc. + title or author) and see who is talking about these books and where. These are people to follow, and stat interactions with. Is there a #ghostchat on twitter (or something else more relevant, like #gothicchat)? See if there is, or start one. 🙂 Search facebook groups for Ghosts, or Gothic, or the supernatural…whatever the topic is that is close to your own book. If you find books similar to yours, use this tool to see what book buyers of that book also buy. It may lead you to more titles of books like yours. http://www.yasiv.com/ Then again run searches on those authors to see what they have done to connect with and promote their books. 🙂 Good luck! Thank you for the ideas. How specifically do I go about finding books like mine? I’ve never been able to figure that out. How does one start a twitter chat? I didn’t even know such things existed. And as far as finding books like yours, search amazon using keywords that tie into your book…gothic, ghosts, anything you can think of. You must have read books that inspired this story or that are similar in topic or nature. Start with those. Ask people who have read your book what books come to mind as similar that they have read. Search for authors in your genre. Good luck! Thanks so much for all of this great information. As a true introvert, I’ve been trying to get involved in social media for over a year. I belong, but lax in communications. Your suggestions have given me more direction. I hope to see my book out there mid-November. I’m getting nervous I won’t be doing enough promotions. Writing a book was a breeze in comparison. I too have bookmarked your site. Hi, Gippy! Angela’s out of town, so I wanted to chime in and say good for you for jumping into the social media pool ;). As a fellow introvert, I know how hard it can be. A book that really helped me with this was Kristen Lamb’s We Are Not Alone (and also her sequel, Rise of the Machines). They both deal with how the author can interact with others through social media and gain visibility in our quickly-changing virtual world. Also, I hardly ever do this because I’m not a sell-sell-sell kind of person, but we just presented a webinar that contains content that it sounds like you might be able to use with your upcoming release. It’s called Marketing Marriage: Creative Social Media Solutions To Help Your Book Get Noticed. It’s available On Demand for the next three weeks (which means you can download the recording of the webinar and view it at your leisure). If you’re interested, you can find more info here. Congrats on your book launch! This is my first visit to your blog and this post is full of information that I need. I have had some problems with the crossover/blending between writing and marketing. I am venturing out to find other writers and blogs such as yours to learn from. Thank you so much for sharing. I know, this can be a very difficult area for us writers, especially when we have a lot of introverted leanings. But it can be done, and done well, if we just go about it the right way, and stretch ourselves a bit. So glad this was helpful, and welcome to the site! Awesome Advice! Actually the best advice I’ve ever heard on reaching your audience! Thank you! Great post and great advice. I have my first release coming out in December (tentative date at this stage, just waiting for final confirmation) and it’s scaring the beejeebas out of me when it comes to trying to reach the right people – so this has really helped to get me thinking in the right direction. I’m going to be joining the webinar and will encourage others to do so. Wonderful! Looking forward to it. I know marketing is hard, but oddly enough it is something I quite enjoy, so I am excited about being able to share what I’ve learned over the course of many events! Great blog post. I thought once I did #4 it would be a breeze. I have a great niche audience and connect with some, but not enough to put a dent in sales. This #4 connecting/building the audience is tough. I hope it’s just a matter of time and engagement? I think it is, Tam. It does take time and authentic engaging, but once you have that network of supporters in place, you will find that it makes things so much easier with each book you release (assuming that you are writing to the same audience with each book, of course.) Look into ways to collaborate with other authors who write what you do, who may have similar audiences. I wrote about that here: http://www.indierecon.org/2014/02/6-smart-ways-authors-can-collaborate.html Hope this helps! Excellent advice! Thank you. We can also utilize keywords with those “special” things about the book too. These are great tips. Thanks! I’ve bookmarked this post. Excellent information!! Thanks for sharing it with us. OMG, this is FANTASTIC info!! I can see where this strategy would work BIG time!! Great tips. It makes so much sense but I needed the awesome examples to see this. I’m going to bookmark it too. We are happy to share what we know, lol. This Webinar in Marketing I think can really help authors with their online events and getting noticed. Looking forward to it! Very glad this helps. The webinar is actually not until October 13th, so the recording will be available only after that. If you sign up but find yourself unable to make the webinar for some reason (life gets busy, we know! ), we will send you the recording. Sorry Donna…I think it was showing the wrong link. I fixed it so it should be good now.This is what happens when I try to post at midnight, haha. LOL…I totally get THAT one, Angela! What a wonderful, informative post, that really strikes home about the need to connect and build within a community, as opposed to endless self-promotion! Thank you! Excellent advice that goes deeper than other marketing advice I’ve read. Thank you, thank you!